With the sound of life. The alarm goes off and I pad downstairs into an dark, quiet kitchen. I flip a light on and I fill our old, chipped enamel kettle with water that we collect from a local spring. Three clicks are heard, as I light the stove. The shuffle of my slippers on the kitchen tiles. The rustling in the pantry as I gather provisions for my children's school lunches. Then, there is the rummaging around for my favorite skillet. Silverware being pulled out of drawers. The sizzling sounds of something delicious on it's way and the not so delicate sound of my boys tumbling into the kitchen for a hearty meal, before running off for some morning adventure. This symphony of sounds is what roots me even in the fiercest of winds. Usually, my body fills with adrenaline. I feel cloudy and desperate to take action. To fix. To right what is wrong. “Now, now” my body seems to scream. When this happens I know what I most need is stillness. Time, usually alone to make lists or to sit with it all and catch my breath. Once the immediate shock is over, there is plenty of Rescue Remedy, essential oils and a return to basics; good food, a hot bath and plenty of rest. Being connected to life in the most simple of ways. Hanging laundry on a windy day. Walking the beach as the waves pound the shore. Listening to the gulls before I rise up out of bed. Watching my son excitedly run out the door to ride bikes around the block with the neighborhood kids. Circling around the fire pit with friends roasting marshmallows. It's all I have ever wanted and my life feels so rich in this simplicity. I'm toggling between “Full Moon Feast” by Jessica Prentice and going back over Danielle LaPorte's “The Desire Map.” They are filling my soul on two completely different levels … balance like that is so good. My intuition and the neighbors beagle on high alert. Turkey sausage. We eat them for breakfast, lunch or dinner and they go with everything. It starts with 2 lb. of ground dark meat turkey. I'll add some salt, pepper and fresh herbs, usually sage and crushed fennel seeds or a cilantro, cumin and coriander combo. Then I add 1 small minced onion, a few cloves of minced garlic and a sprinkle of hot pepper flakes. I mix it all up and form them into patties. Then I fry them in a pan with a bit of duck fat or ghee. Once I'm done cooking them I add a bit of water into the pan, scrape up the browned bits, reduce the liquid by half and then pour the “gravy” over all the patties. The recipe makes about 15 small patties, so I usually freeze half of the cooked ones for meals down the road. It shifts with the season but my two current favorites are oil pulling with raw coconut oil and a drop of clove essential oil and taking baths with fresh seaweed from the beach. Setting aside time to curl up with a new cookbook, absorbing all the goodness on each page and then taking that inspiration and playing in the kitchen. I love making the recipes my own and adapting them for my family's needs. Play does not come easy for this Capricorn. I have really been trying to create more time for breaks during my work day. To do this it usually means getting out of the house. I just bought a bike after years of not riding and I'm so excited to take it out on some adventures around town when I need to get away from the computer. There is something so divinely freeing and nostalgic about being on a bike, no? I felt a shift in life perspective around the time my second son was about to be born. While my belly was ripe with child, there was also this rumbling from deep within my soul. I could feel it coming and I didn't know quite what it was. I look back now and feel like it was spirit rising within me or perhaps more fitting, phoenix rising. The Universe was putting me smack in the middle of where I needed to be, in front of the people I needed to meet or work with or learn from or be burned by. I had always feared change, but this rebirth showed me that to begin anew was to get a little closer to my truth in that moment. So I lowered the walls I had built, allowed it all to come rushing in and it catapulted me to where I had always dreamed of dwelling. So I guess my words of wisdom would be: Allow yourself to soak in whatever you need to soak in or seek what you need to seek, even if it seems crazy or a little uncomfortable. This is how you ready yourself for what is next. This is how you embrace the sacred unknown. Stephanie Perkinson is a certified holistic health & lifestyle coach and owner of Wellness by Design. She teaches women how to live “in-season” by introducing them to the magic that each earth-phase holds. She gently guides her clients back to balance on their plates, in their bodies and around their homes. She believes that with loving support, every body can find it's way home and become deeply rooted wherever it may be. 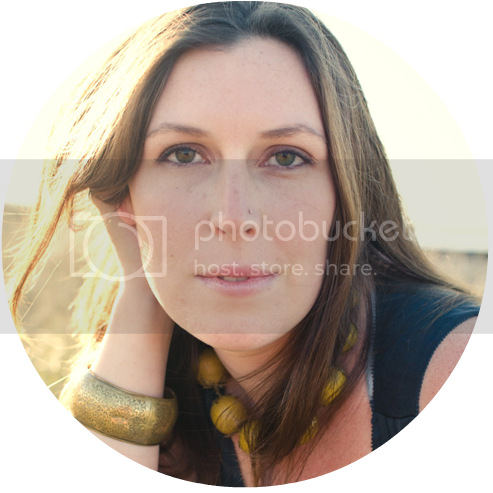 Be radiant with Stephanie on Instagram, Facebook, Pinterest, or simply shoot her an email.